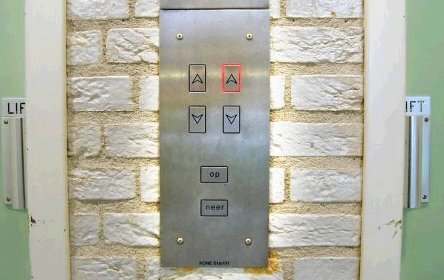 This is the control panel of the lift (elevator) in our department. The first time you order a lift you’ll definitely push on one of the top arrows. 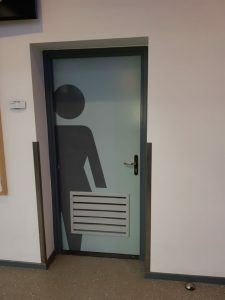 However, these arrows only indicate whether the lift is moving and in what direction. 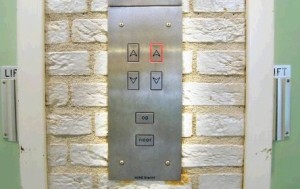 To order a lift you must use one of the lower buttons with the text “op” (up) or “neer” (down). Indicators and controls have exactly the same appearance here.